The main square of Livorno is Piazza Grande. 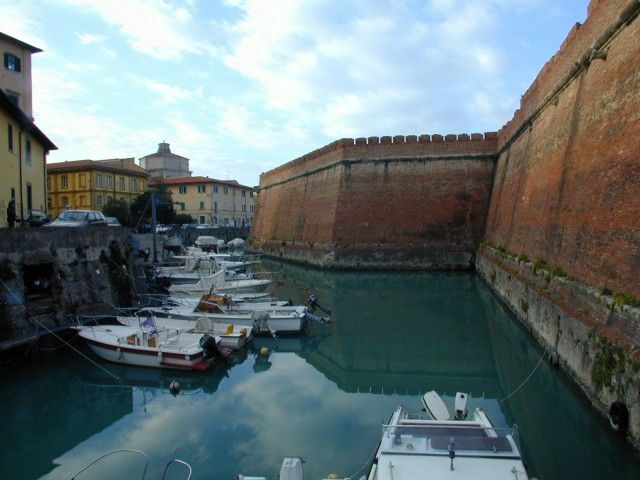 The district Little Venice, that owes its name to the fact that it copied the Venetian methods of reclaiming land from the sea, is where you will find the Fortezza Nuova (Picture 2) belonging to the period that the Medici were in power. The canals are lined with picturesque apartments often with their clothes hanging in the sunshine. 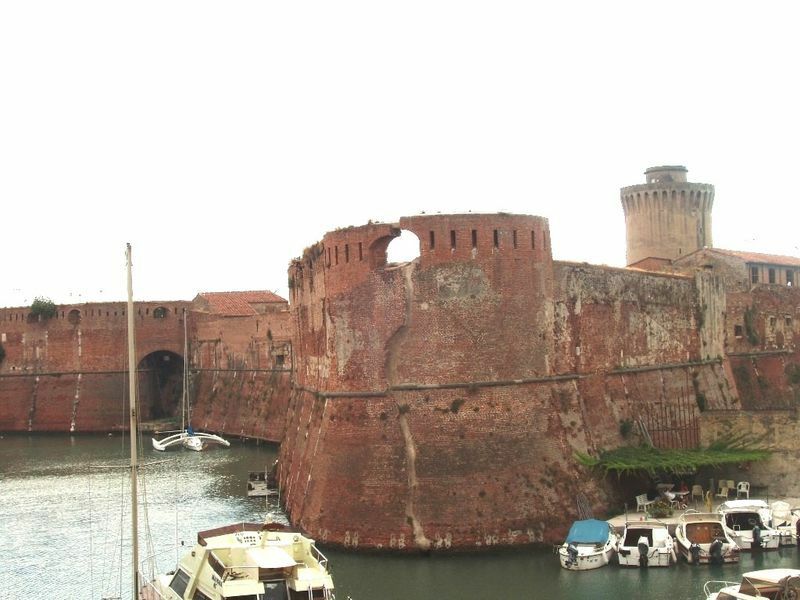 The fortress has only kept its walls and is only used for parking now. Still in good condition as it escaped bombing, the Mercato Centrale is a gorgeous neoclassical building and a real treat for foodies. It is located on Via Buontalenti (open 6am-2pm, closed Sun). The Museo di Storia Naturale del Meditarraneo (natural history museum) (tel. 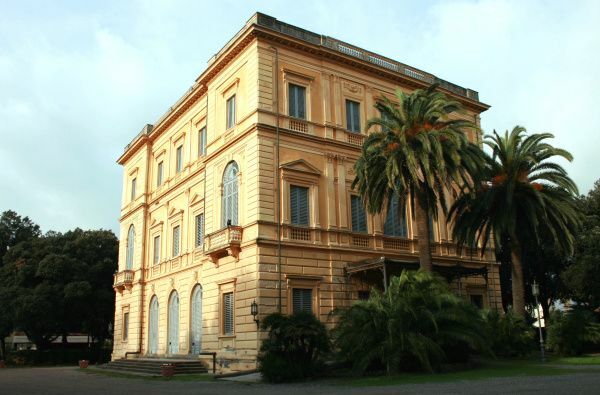 0586 26 67 11; www.provincia.livorno.it; Via Roma 234; open 9am-1 Mon-Sat, 3am-7.30pm Tue, Thu and Sun) is a comprehensive and well regarded museum which has permanent and temporary exhibitions. The Museo Civico Giovanni Fattori (Picture 3) (tel. 0586 80 80 01; museofattoria@comune.livorno.it; Via San Jacopo in Acquaviva 64; open 10am-1pm and 4-7pm , closed Mon) exhibits pieces by Giovanni Fattori and artists of the Impressionist Macchiaioli School. Amedeo Modigliani is another celebrated artist from Livorno, who started his career when the Macchiaioli School was in its heydays throughout Italy. Later on the Renaissance artists and Parisian masters influenced the development of his style. The cathedral was planned by the same architect who created Covent Garden, Inigo Jones. It is positioned near Piazza Grande. The Etruscan coast stretches from the southern end of Livorno. There is a bus (nº1) serving all these attractive rocky beaches. The tourist information kiosk is on Piazza del Municipio (tel. 0586 20 46 11; www.costadeglietruschi.it; open 10am-1pm and 3-6pm closed Sun Apr-Oct, 9am-5pm Mon-Sat Nov-Mar). The tourist information office is off the ferry port (tel. 0586 89 53 20; open Jun-Sep).